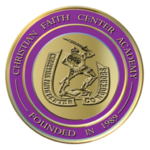 Christian Faith Center Academy is a non-public, non-denominational, independent, and non-profit school located in Creedmoor, North Carolina. The academy was founded in 1989 by Bishop Mack and Pastor Brenda Timberlake. The purpose that these two innovators had in mind for the academy was to provide quality education and mold character development for students from a wide range of diverse backgrounds. The students that attend the academy come from neighboring counties such as Franklin, Wake, Durham, Vance and of course, the home of Christian Faith Center Academy, Granville County. In addition to the surrounding counties, the academy has enrolled students from various states and countries including Bosnia, Canada and Nigeria to name a few. The present structure of the academy, completed in 1995, is a 52,000 square foot state certified facility sitting on nearly 100 acres. This facility is quite different from the meager beginnings of the school started in 1989, which was housed in the back offices of the sanctuary and in trailers behind the church building. The school started with grades Kindergarten through seventh with approximately 120 students. Since 1995, one grade has been added to the academy with our first graduate obtaining her diploma in 1995. The present school has expanded to include a competition size gymnasium, a science and computer lab, music and art room, a weight room and a full service cafeteria. CFC Academy has always maintained low student-to-teacher ratios allowing more one on one attention between students and teachers. The teachers at the academy have diverse backgrounds and their educational experiences provide creative approaches to their instructional techniques. In reference to the community and demographic information, Christian Faith Center is centrally positioned in the “Research Triangle” area of the state. The drawing aspect of this school according to parents is its affordable tuition and its mandate to minister and reach children from low- to mid-income households and dysfunctional backgrounds. The school whose basis has been evangelistic has transitioned since its beginnings from an enrollment of majority ministry-related families to that of non-related ministry families. Daily phone calls from parents seeking refuge from public school system has mandated that the school’s interviewing and screening pre-admission process be thorough with the complete parental support required. The mission of Christian Faith Center Academy has always been to impact the lives of today’s students for Christ and help them become leaders of tomorrow. Over 95% of the graduates of Christian Faith Center Academy have been accepted to institutions of higher learning for example: UNC Chapel Hill, Virginia Tech, Oral Roberts, John Hopkins University, Berklee School of Music, NC School of Math & Science, NASA Technology Training and some have even participated in the National Leadership Conference in Washington, DC. The following are just some of the institutions in which our students have attended.